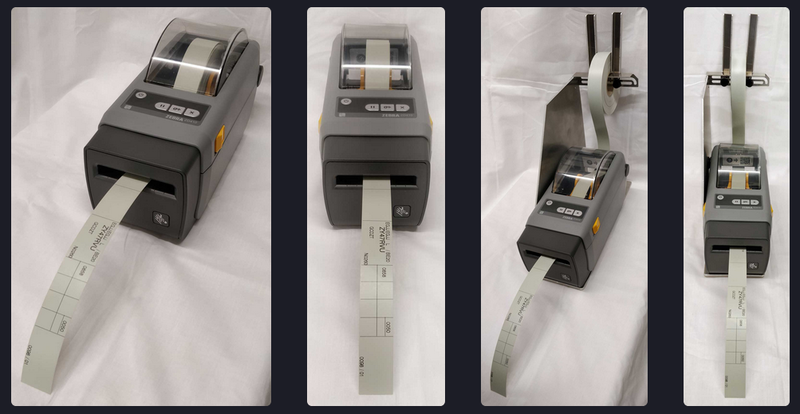 Copperchase is pleased to anounce the introduction of the new Zebra ZD410 Label Printer as a Flight Progress Strip Printer solution for the small to medium size airports. The Zebra ZD410 will compliment the existing IER range of strip printers. Copperchase has introduced this printer to their portfolio of products to give the small to medium-sized airports a cost competitive option. The printer maintains all the functionality of the IER range with the benefit of a smaller form factor and price advantage. The Zebra has an internal paper spooler but can be provided with a larger external strip paper holder, reducing the user intervention needed to replace media. The paper cutter and print head are available as spares and can be easily changed by the user, extending the product life and giving a minimal down time. The ZD410 is plug-compatible on the Copperchase FDMS since it uses the existing Copperchase Strip Printer Interface used by the IER printer.